The RB and VB models are industrial air vacuum and high friction rubber belt conveyors. 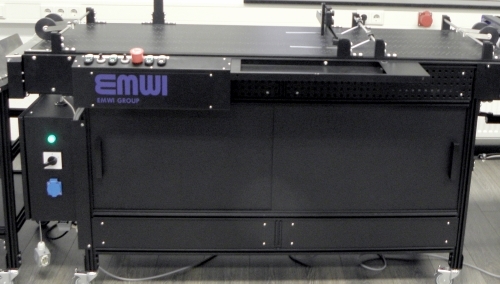 Both models can be used as independent belt conveyor modules or connected to feeders and existing machines for the transport of sheets, labels, tickets, envelopes, leaflets, reviews, open boxes, adhesive labels sheets and so on. 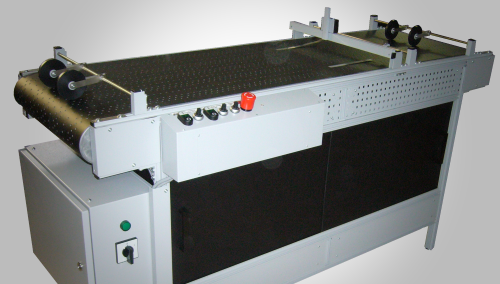 RB and VB models mount an high resistant and high friction industrial rubber belt and an high resistant aluminium structure, with adjustable height, for multiple inkjet heads, PCs, encoders and camera systems easy mounting. Motor System: RB and VB models have an industrial motorized cylinder with adjustable speed, no vibration and highest registration. VB models are "total width" air vacuum. 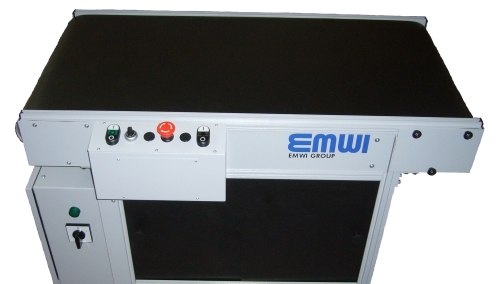 Vacuum system allows the adjustment by power and sectors. Multiple tickets and labels sheets transport for inkjet numbering and barcoding (including PVC). Single tickets, labels transport for inkjet numbering and barcoding (including PVC). Envelopes, leaflets and reviews transport for inkjet complete personalisation and mailing. Security Tax Stamps sheets transport for inkjet numbering and barcoding. Security Lotteries Tickets sheets transport for full variable data and images personalisation.